When looking for ideas for fall slow cooker freezer meals I immediately thought- maple, and knew it had to be included in the rotation in some form. Then I remembered that pork is fantastic with any kind of sweet flavor added to it , pork chops and applesauce anyone? I added bacon because well…bacon, nuff said. The flavors come together well in this main dish and makes a great recipe for Sunday company or after a Tuesday football practice. Easy to prep and to cook these recipes in the Freezer Slow Cooker Series are sure to become some of your favorite meals in the dinner rotation. Label gallon freezer bag with contents, date, and cooking instructions. 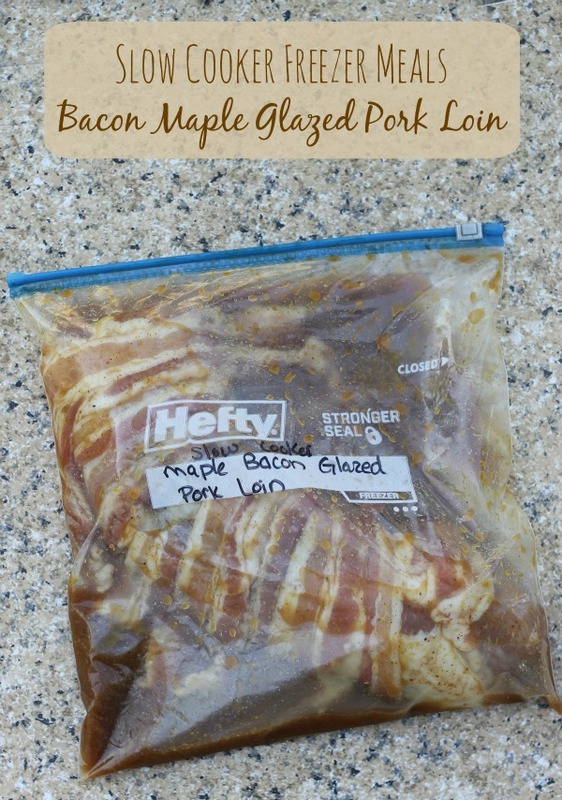 Pour maple syrup, brown mustard, apple cider vinegar, garlic, soy sauce, and black pepper into gallon freezer bag-whisk well to combine. 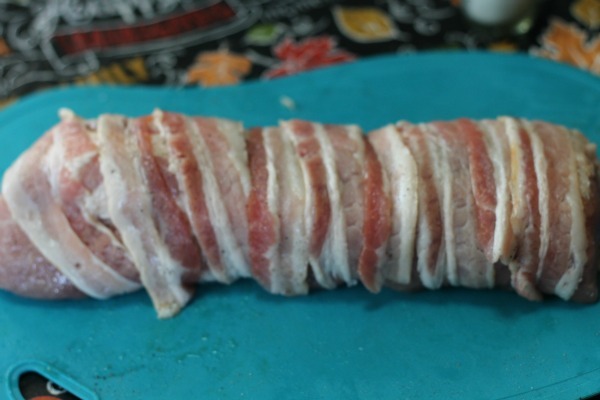 Begin at one end and tightly wrap in bacon, continuing to the other end. Place prepared pork loin in gallon bag. Press air from bag and seal. Coat slow cooker well with nonstick cooking spray, you could also use a slow cooker liner bag to make clean up super simple. 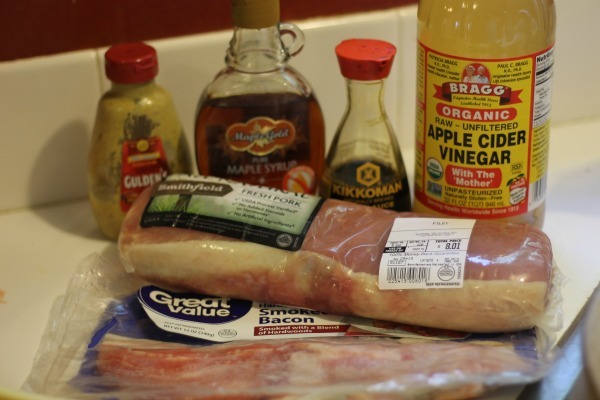 Place thawed pork loin into bottom of slow cooker, pour any marinade left in the bag over the pork to coat. Serve with mashed potatoes and your family’s favorite green vegetable for a delicious and full meal.